Easter is only a couple of weeks away and the UK is beginning to thaw out from the recent cold blast. With this in mind we’ve decided to be optimistic and take a look at some newer yarns for spring summer that might inspire you. 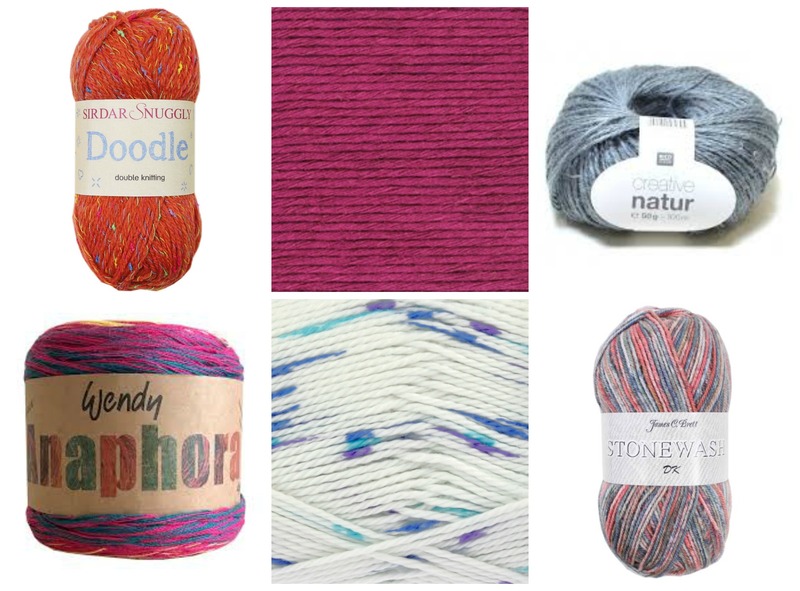 Sirdar Snuggle Doodle DK (90% Acrylic 10% Polyester) come in a range of vintage inspired shades, each with a colourful nep for a tweedy effect. Equally interesting for child and adult garments or accessories. Stylecraft Linen Drape DK (70% Viscose 30% Linen) Linen is a light lustrous fibre with an elegant drape especially here combined with viscose. Chose this for airy summer garments. Rico Creative Natur (100% hemp) If you are looking for something a little different this robust hemp yarn is great for sturdy Hygge style homewares and bags. James C Brett Stonewash DK (100% premium acrylic) comes in a range of subtle variegated colour ways suitable for all types of garments. King Cole Cottonsoft Candy DK (100% cotton) is a range of six shades featuring flashes of mixed colour on a white background adding interest to all your cotton DK summer garments. Continuing the trend in interesting colour change yarns, Wendy Anaphora 4ply (50% cotton, 50% acrylic) is made up four individual strands that change from one colour to another in a mirror image of each other. 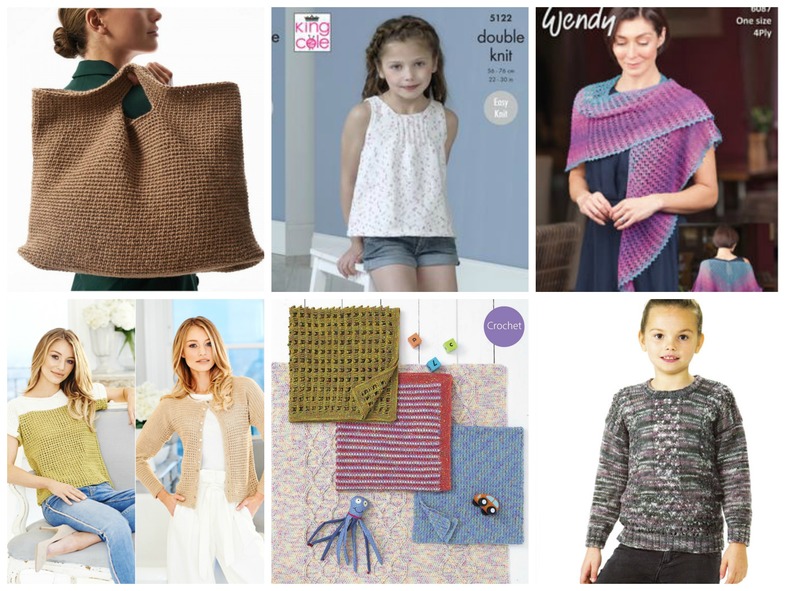 The range of rich colours are great for shawls and accessory patterns.